Athuruga is a case where ‘if it ain’t broke, don’t fix it’ is inappropriate. This resort has been one of the best-maintained and consistently popular in the country, yet it has had massive changes and come out the other side even better. Looking beautiful. It is only when you see the startlingly fresh, light and modern Athuruga that you think, yes, well, perhaps it was beginning to look a bit dated (having been built in 1990). A leading Italian architect has redesigned every aspect of the old resort and newly designed 25 Water Villas. The public area has been opened out to the beach and the views, and the colour white has been used extensively to give a wonderfully airy and uplifting feel. 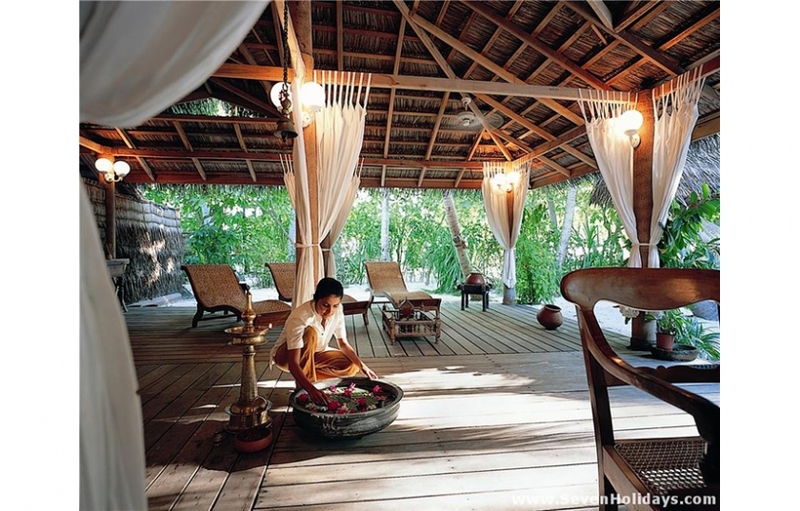 Panels of the original coral walls are kept visible around the resort, giving an authentic Maldives touch. The old main bar is now a pizzeria. 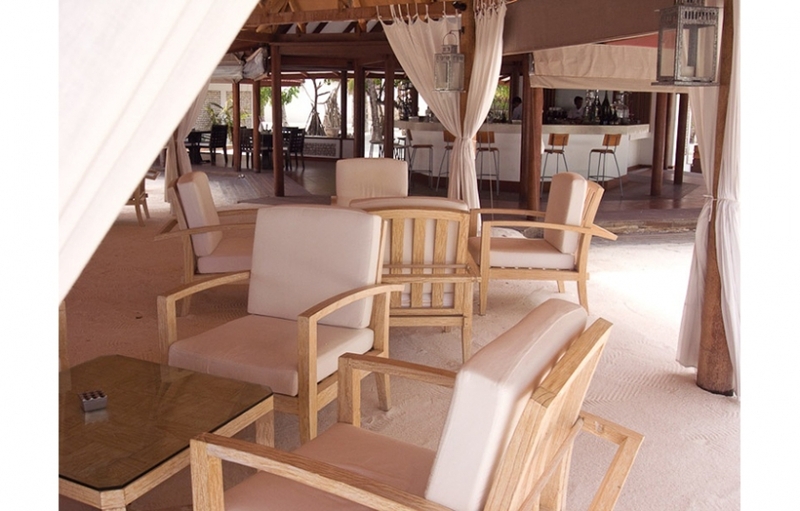 The new bar, new restaurant and new reception have white sand floors, white cotton drapes and furniture in light brown wood. All very attractive, quite literally: they make you want to go there and hang out a while. The new boutique and dive shop can also be included in this. The lounge by the reception has the only tv, as well as computer and wifi but, it should be said, the price of that is discouragingly high. 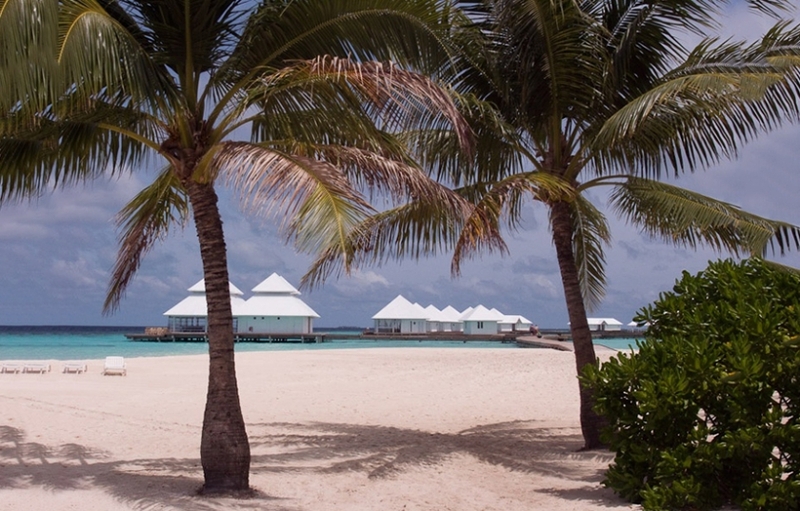 For guests in the over-water villas, there is complimentary wifi in each room. Those guests also get iPod stands and can borrow the iPods if needs be. 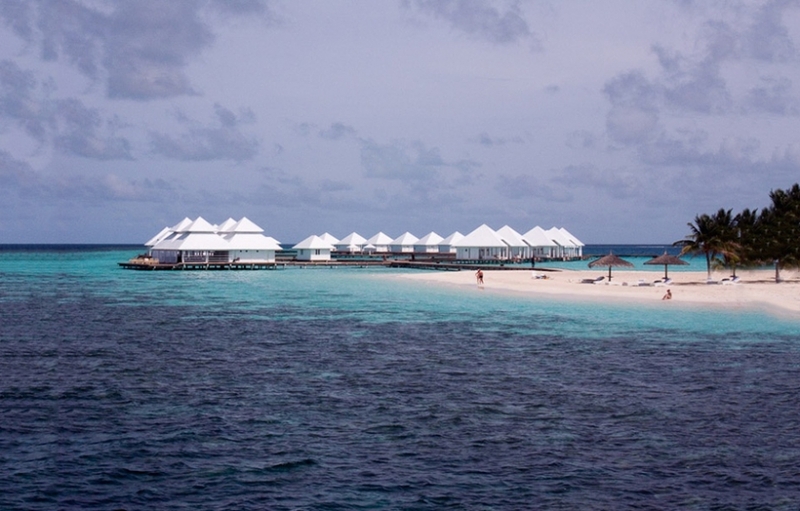 Over-water villas are long established in the Maldives but these on Athuruga have raised the bar once again. 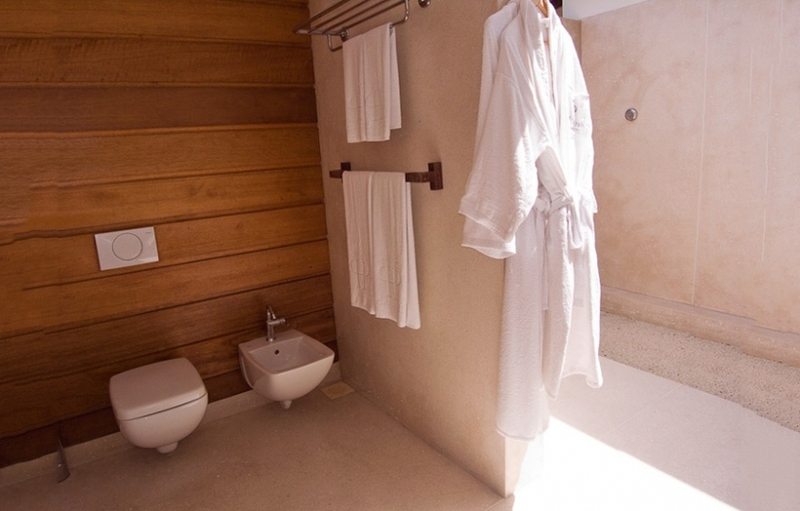 Not for their size or facilities but for their startling white simplicity and design elegance. 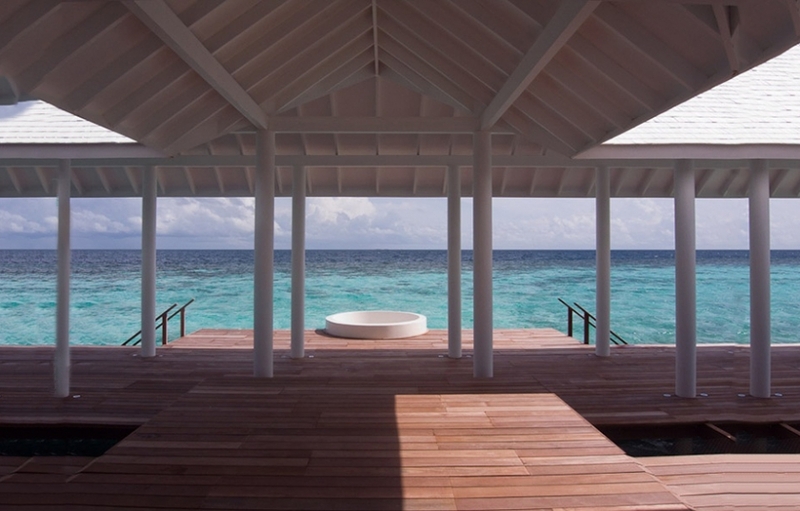 The lack of balustrade on the deck opens out the lagoon and vista, while reasonable privacy is maintained by the distance between the rooms and their positioning. 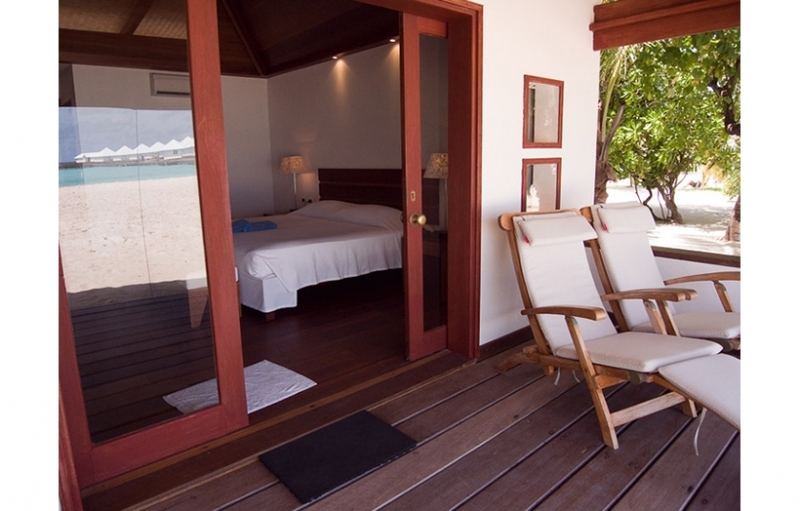 Many a beach bungalow resident will upgrade to the over-water villa at least for a few days of their stay. Not that the beach bungalows are far inferior. For beach lovers, these are a dream as they are not behind a barrier of greenery but right on the sand. And the beach on Athuruga is still excellent, going all the way around the small, round island. Seasonal erosion is counteracted by some pumping and a couple of groynes on the west and northwest corners (around room 26). Rooms 1-3 used to be the most popular rooms on the island as they are on the big beach by the main buildings and faced sunset. Now they face out to the water villa jetty and the sun actually sets behind the jetty, so they are some of the least popular. Rooms 9-13 would be the best now. Each room has glass doors so the simple interior, without tv or bulky furniture, joins with the wooden verandah and spills on to the beach. The rooms are built in pairs, sharing a wooden deck and divided by back to back long benches. 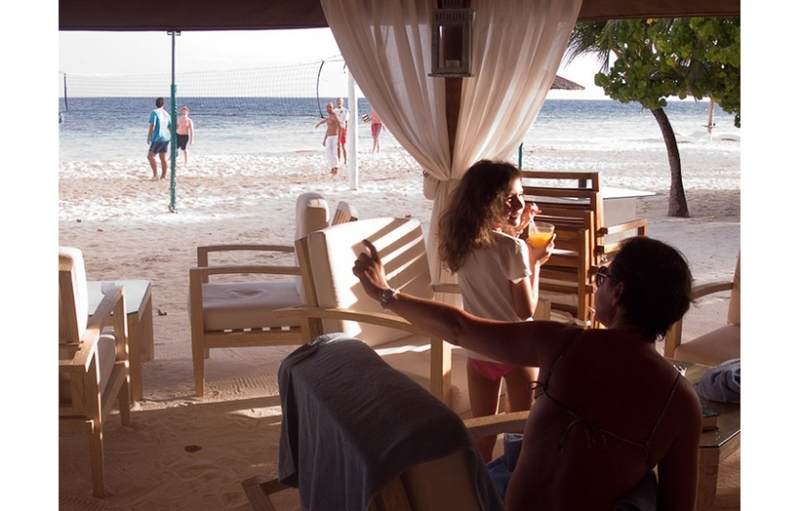 All guests are on a generous all-inclusive package that includes free watersports, laundry, 1 island hopping excursion and, of course, all meals, snacks and drinks, except for champagne and premium brands of brandy and whiskey. The special lounge at the Maldivian Air Taxi terminal is also a bonus. Water villa guests have their own fabulous new over-water restaurant. There is light entertainment every day, with music before and after meals and some sort of show or quiet game in the evenings. Athuruga is unquestionably cosmopolitan and very much open to all nationalities, yet it is fair to say that it has Italian characteristics. Many of the staff members are Italians and most of the Maldivian staff speak Italian. The entertainments are usually multi-lingual. Italians would be in the majority during the high season, with Germans and British perhaps a majority at other times of year. The snorkeling is ideal as the reef runs close to the beach around two-thirds of the island. Guests would usually go off on either side of the short jetty and come in at 1 of the 3 buoys indicating a narrow cut-through the reef. Snorkeling trips to nearby thilas and a sandbank are arranged with the watersports centre, which run all the excursions in a personalised way. The marine biologist takes guests out to the housereef 2 times a day. Diving is fairly popular here and couldn’t be more convenient. Once guests have signed up for a dive, their equipment is taken to the boat for them. After the dive they just walk away, while staff return their equipment. Having said that, the level of information on the dive sites is not so impressive. 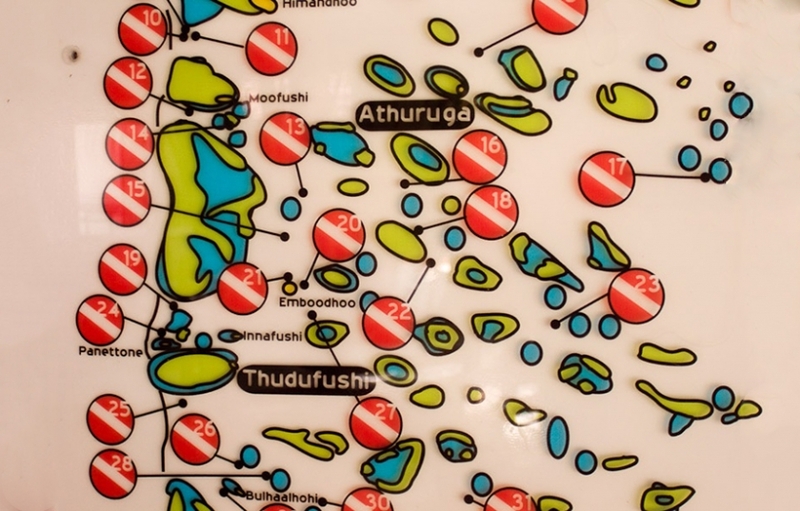 And being in the middle of the atoll means longer journeys to the outside channels. On the other hand, great thilas such as Orimas and Fish Head are all regular dives.